As someone with years of experience working in gyms, Dawn Flowers has always enjoyed giving private workout sessions. It was this passion for personalization that ultimately inspired her to open her own, small-group training facility. At first the idea seemed far-fetched. She questioned if it was an achievable feat, but deep down she knew that she could offer clients more as a personal and group fitness trainer out on her own. She visited the SV SBDC to re-assess her business concept and get help with financials. At this point, she had just opened U Fit, LLC in a small rented space near an industrial park. 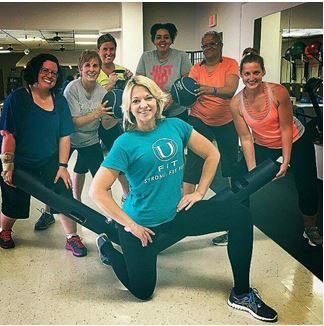 Now, U Fit is a full-fledged training facility with over one hundred regular clients and has cultivated a highly successful Weight Loss Accountability program.